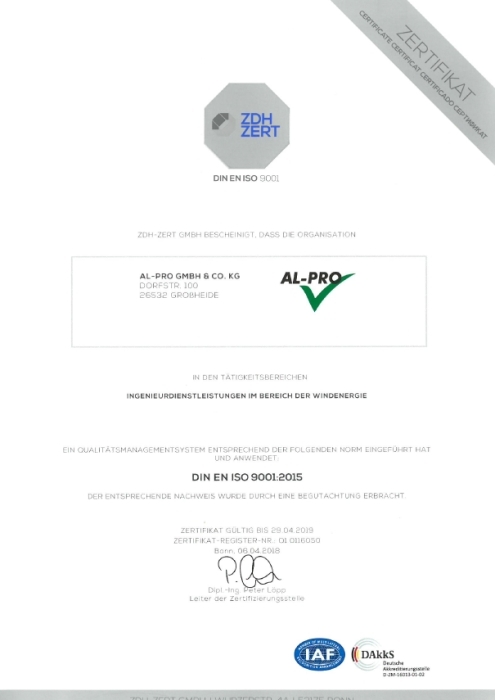 AL-PRO has been accredited according to DIN EN ISO 17025! For us this is not only a reason for celebrating, but also an incentive to go and carry on with our scientific established and high quality project consultation and planning. For you this is hopefully another motivation to decide in favour of AL-PRO when choosing your next project partner. AL-PRO has been certified by the “Germanischer Lloyd” on April 29th, 2004. 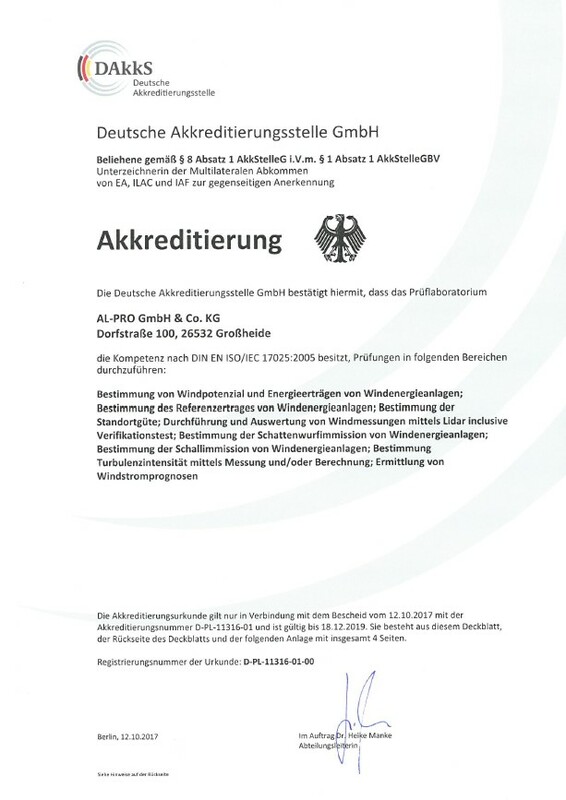 The certification currently accords to DIN ISO 9001:2015. Our promise to our customers of fast, well-organized, competent and qualified work has been impressively confirmed by an independent institution now. For you this means the guarantee of having found with AL-PRO the right partner for all questions around wind energy. In order to always know "how the wind blows" our company is a member of the wind expert advisory board of the Federal association for wind energy e. V. (BWE)- a forum of wind consultants, as well as specialists and experts from institutes and research institutions. The aim of the work is to improve the reliability of wind reports and to represent the interests of the wind experts and consulters. The wind expert advisory board has worked out standards for preparing wind reports and the comprehensible representation of the results. A review of these standards can be found on the pages of the federal association wind energy (BWE).